Archbishop Michael Byrnes announced April 4 that the Apostolic Tribunal of the Congregation for the Doctrine of the Faith has upheld a guilty verdict against now Bishop Anthony Apuron, "finding the Archbishop guilty of delicts against the Sixth Commandment against minors." See Archbishop Byrnes initial message after the announcement by the Holy See Press Office. Official news that Rome had upheld a guilty verdict for former Archbishop Anthony S. Apuron first reached Guam Thursday, April 4, 2019 with the Holy See Press Office issuing an announcement. Access the official Rome announcement by tapping the header above. The Archdiocese of Agaña is not wavering in its position that legalizing recreational marijuana will produce great harm on island despite the 35th Guam Legislature’s passage of Bill 32 on March 27. After senators voted to approve Bill 32 on the legalization of recreational marijuana by a vote of 8-7, Gov. Lou Leon Guerrero now has until April 8 to approve or reject it. Sister Mary Angelica Perez passed away peacefully at Mercy Care Center, Oka, Tamuning, Guam on Mar. 21, 2019 at the age of 89. 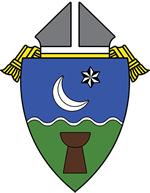 Archbishop Michael Michael Byrnes has decreed the establishment of four vicariates within the Archdiocese of Agana. The March 24, 2019 edition of Umatuna Si Yu&apos;os explains all you need to know about vicariates. Catholics on Guam and throughout the world began the holy Lenten season by attending Mass on Ash Wednesday, March 6. Archbishop Michael Byrnes celebrated 12:15 p.m. Mass at the University of Guam Calvo Field House following a long-standing archdiocese tradition and priests also administered ashes on the faithful&apos;s foreheads during Masses throughout the island. The Catholic Church in the Marianas is mourning the death of longtime clergyman Msgr. Louis Antonelli who devoted 70 years of his life serving God in the priesthood, 46 of them with the Diocese of Chalan Kanoa in Rota. Msgr. Antonelli entered eternal live on Feb. 12, 2019 at the age of 100. He was known as "Rota&apos;s Pillar of Faith" and also served in Guam. Longtime Father Dueñas Memorial School (FDMS) educator John Dennis Forbes was honored for 60 remarkable years of service as Catholic Schools Week 2019 culminated with an uplifting Catholic Educators Conference on Friday, Feb. 1 at the Veritas Hall of Dominican Catholic School in Yigo. The 2019 Guam Catholic Men’s Conference will be held Jan. 19, 2019 from 8 a.m. to 3 p.m. at the Father Dueñas Memorial School in Mangilao. The Guam State Council of the Knights of Columbus invites all men and teen males. Registration is ongoing via online with a fee of $10 per participant or $15 for father and son. Eight bishops from the Philippines will visit Guam to join the 20th annual fiesta celebration in honor of the Holy Child Jesus, the Señor Santo Niño during a festal Mass 3 p.m., Sunday, Jan. 13, 2019 at the Dulce Nombre de Maria Cathedral-Basilica in Hagåtña. Click on the headline for the full story. Calling it the best way to achieve "the greatest measure of justice for the greatest number of victims," Archbishop Michael Byrnes announced that the Archdiocese of Agaña planned to file Chapter 11 reorganization between mid-December and mid-January. Emphasizing that the mission of the Church would continue, the archbishop announced the news Wednesday, Nov. 7 during separate meetings with parishes, schools, Catholic groups and finally, the media. Two of Guam’s seminarians studying at St. Patrick’s Seminary and University in Menlo Park, Cal. were instituted to the ministries of lectors and acolytes at an installation Mass on Nov. 7 in California. Honorio “Ron” V. Pangan, Jr. was installed as a lector and acolyte and William “Will” S. Mamangun was installed as an acolyte, moving them closer to the priesthood. Archbishop Michael Byrnes asks all people on Guam to extend prayers and assistance to our brothers and sisters in the Northern Marianas who are suffering greatly because of the devastation of Supertyphoon Yutu Oct. 25. Catholic Social Service and Ministry for the Homeless are spearheading the archdiocese&apos;s "CNMI Typhoon Relief". Parishes will devote the special second collections from either this past Sunday, Oct. 28 or next Sunday, Nov. 4 to the typhoon relief. Schools and Catholic organizations are also collecting donations. More info. is forthcoming. The Religious Sisters of Mercy (RSM) on Guam and close relatives of the late Sister Mary Jeanette Leon Guerrero, RSM, honored their beloved at the Dulce Nombre de Maria Cathedral-Basilica in Hagåtña on Tuesday, Oct. 23, 2018 in the glory of Our Lord Jesus Christ. The Catholic Cemeteries office of the Archdiocese of Agaña has released the schedule of Masses to be celebrated at island cemeteries on All Souls Day Friday, November 2 as we commemorate all our faithful departed. Click the header to access the schedule. Hundreds of Catholic youths and adults gathered to peacefully protest abortion at the Archdiocese of Agaña’s 2018 Life Chain held on Respect Life Sunday, Oct. 7 throughout the island. Archbishop Michael Byrnes extends condolences and prayers to the Capuchin Franciscan friars upon the death of their longtime brother and servant of Christ, Father George Maddock. Fr. George died in New York on September 30. He was 81. Fr. George served on Guam and Hawaii for more than 50 years in many capacities. He was a beloved parish priest, seminary rector, school principal and teacher, religious superior and director of formation for future Capuchins. Fr. George will be buried in the friars&apos; cemetery at Sacred Heart Church in Yonkers, New York. A memorial Mass for the late Deacon Louis Agbulos will be celebrated 6 p.m. Friday, Oct. 5 at Our Lady of the Blessed Sacrament Catholic Church in Agaña Heights. Reception will follow. Deacon “Louie” passed away Friday, Sept. 21 in California where he and his wife Cynthia had recently relocated. He was 62. Viewing and Rosary will be from 5 to 8 p.m. Monday, Oct. 1 at All Souls Mortuary in Long Beach, Cal. Mass of Christian Burial is 10:30 a.m. Tuesday, Oct. 2 at St. Peter Chanel Catholic Church in Hawaiian Gardens, Cal. More than 250 religion teachers and catechists joined Archbishop Michael Byrnes and keynote speaker Father Ron Richards as the Archdiocese of Agana held its 2018 Catechetical Conference Saturday, Sept. 15 at the Father Duenas Memorial School Phoenix Center. Story and photos upcoming in the Sept. 23 edition of the Umatuna Si Yuos.